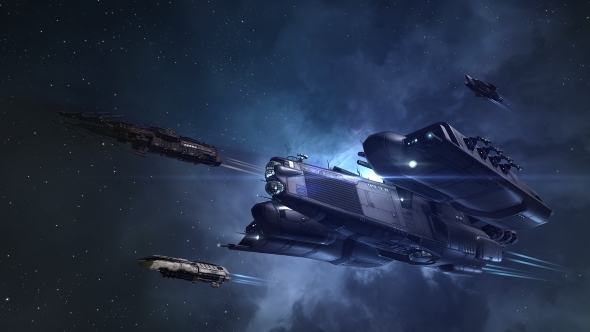 Andrew Groen, the author of a book on the history of Eve Online, has shared an update on the book’s continuing success and his future plans. Highlights include possible international shipping for the book and a trip to London’s V&A Museum, the world’s largest museum for decorative arts and design. 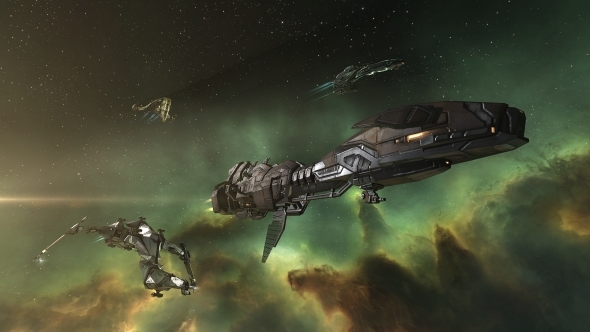 Eve Online just went free-to-play. Watch Phil and Jordan try to get in on the fun as newcomers in our Eve Let’s Play series. Empires of Eve is a crowdfunded book chronicling the history of the epic battles sometimes seen in Eve Online, one of the most intricate MMOs going. If you’re not familiar, Eve’s depth enables players to engage in espionage and ruthless politicking as well as large-scale space combat, and the background to its conflicts is usually at least as interesting than the action itself. Andrew Groen decided they were interesting enough to write about, and by the sound of his latest update on the resulting book’s Kickstarter page, he was right. “The book continues to sell steadily and is now nearing 12,000 copies sold overall!” says Groen. “Things went so well with the hardcover in particular that I ran out of stock for some time and was able to do a second printing of 1000 copies”. If you missed the Kickstarter, you can currently only get the book if you’re based in the USA (which if anything makes its success more remarkable). This may be about to change, however. For a book that’s essentially ‘virtual history’ to be this successful is in itself a pretty remarkable thing, and Groen has been able to travel around the country speaking about the project. He’s booked in at PAX South in Texas on January 27-29, but his potential future engagements are even more interesting. If you’re fortunate enough to live in the States, you can pick up a copy of Empires of Eve here.